Half of life’s challenge is figuring out where you’re headed. Kathy Burns had that all added up by the fourth grade. The founding partner of Cary accounting firm Burns & Bynum, and co-founder of Hall & Burns Wealth Management, Burns says while growing up on a farm in one-stoplight Gates County, N.C., she always knew she would be an accountant. 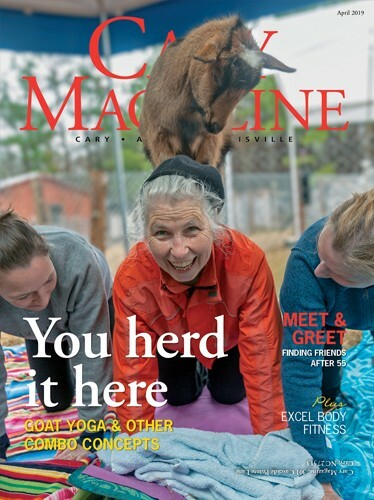 A graduate of East Carolina University, Burns and husband, Dave, moved “a world away from the farm” to Asheville, ready to embark on her long-anticipated career. Later, Burns found herself in uncharted waters when the couple decided to start their family, as the first-ever expectant mother among CPA staff at the Hickory branch of a large accounting firm. When the Burns family relocated to Cary, she worked as director of Corporate Tax, Planning and Budgeting at Blue Cross Blue Shield of North Carolina. But in 1997, Burns lost her sister, at age 42, to breast cancer. Suddenly, her work-life perspective shifted; it was time for a change. That same year, she birthed her solo accounting firm, at home. “I had a desk, a phone and a fax machine. I sat down and thought, ‘What now?’ I had no idea who my clients would be,” she said. An unexpected decision by a large insurance carrier to outsource its tax business helped kick-start her firm. Burns battled breast cancer herself five years later; now a 10-year cancer survivor, she credits the quality of care she received in the Triangle. In 2004, she partnered with Lanny Bynum to form Burns & Bynum, and in 2008 co-founded Hall & Burns Wealth Management with Dustin Hall. Today, Burns & Bynum has four partners and 20 employees; most associates are female. “I started the business with women with great experience and professional attitudes, who wanted to work flex time. I totally understood that!” Burns said. What’s the key to building a business? “Relationship — that’s all there is! I really try to put myself in the clients’ shoes, and treat them the way I’d want to be treated,” Burns said. “When you build long-term relationships, it shows you care about your clients. And that trust spills over into more business. With her specialties ranging from tax, retirement and estate planning to stock analysis and insurance, what Burns loves most is working in-depth with clients. Hall & Burns’ recent launch of a personal CFO platform is particularly significant to Burns, as it offers clients the “big picture” of their financial lives and an individualized real-time website that also stores crucial information such as wills and passports. Financial planning, she emphasizes, is not just for the wealthy. “Women view financial planning differently than men,” Burns added. “Everybody is concerned with performance, but women are concerned about taking care of the family, and men on accumulating wealth. It’s two different approaches. Burns also lives out her belief in relationships within the community. A charter member of the Morrisville Rotary Club, she serves as club treasurer and is a Paul Harris Fellow of Rotary International. She formerly sat on the board of Triangle Commercial Real Estate Women. 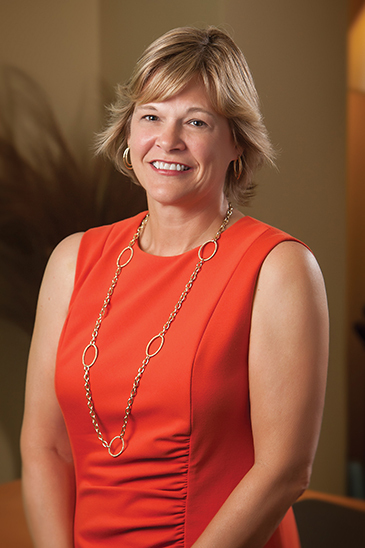 In September, she steps up to a one-year term as chair of the Cary Chamber of Commerce board of directors. Together, Burns says the board and chamber members will help the town develop a community plan initiative, and likely support a bond referendum in November on infrastructure and road needs. Burns wants to see taxes remain low, and believes it’s important to improve downtown. “We want to keep Cary one of the best places to live and work,” she said. Burns also loves to travel, spend time at the beach, dine out, and ride on the back of her husband’s Harley-Davidson. So how does this farmer’s daughter define success, today?